Whitetail Institute® Deer Attractant, ON SALE! Watch 'em roll in! 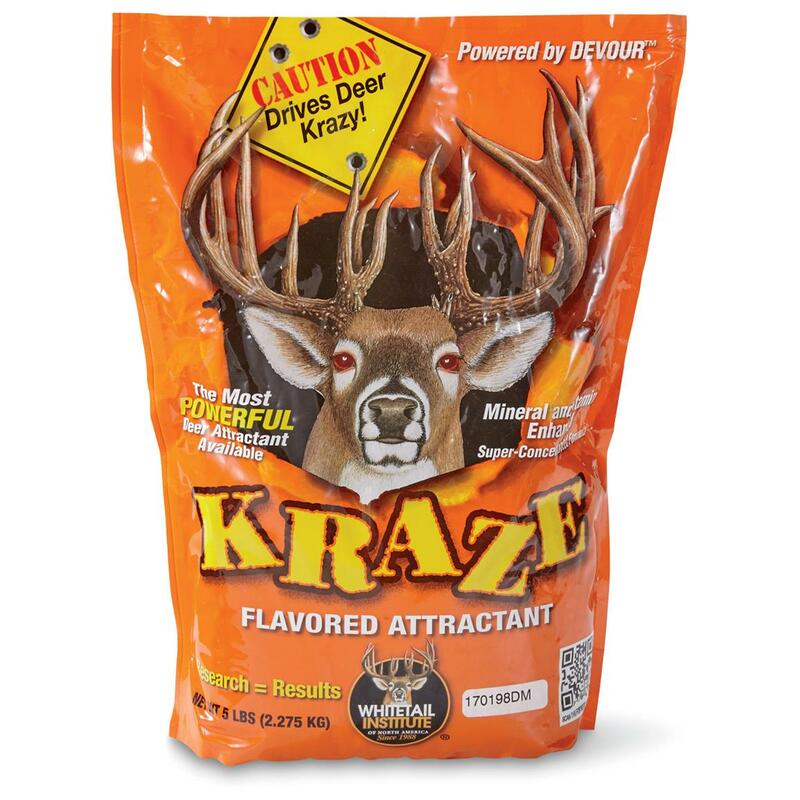 These Whitetail Institute® Attractants create just the "pull" you need to bring the deer into your neck of the woods in droves. Deer can't stay away from the smell... and once they find your plot they get a burst of added nutrition to their diets. 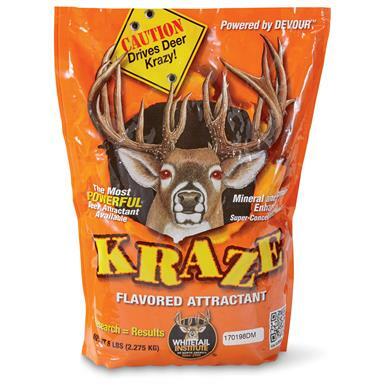 Whitetail Institute Kraze Deer Attractant 5-lb. Bag is rated 5.0 out of 5 by 1. Rated 5 out of 5 by Turbine Doc from WoW really works I've been searching for something that adds minerals to diet and also something deer would be attracted to, I've tried powers, mineral blocks, "mineral rocks" , etc. this is the first product I've tried that literally worked overnight.. At 2 different spots on my property I put down Kraze on Saturday afternoon, Sunday morning both sites had been visited.